5 stars - "Epson Stylus Photo PX830FWD All-in-one InkJet Printer with CISS" by Jeffery, Written on 2012, 12:09/09/28 Excellent product. A good deal for the money. 5 stars - "Epson Stylus Photo PX830FWD All-in-one InkJet Printer with CISS" by Dexter, Written on 2012, 16:52/10/23 The printer seems to be a bit too slow. But I can live with it, there are more advantages anyway. And CISS really helps me saving on ink. IвЂ™ve been using it for a month already. Buy Printer Epson Stylus Photo PX830FWD with CISS and make 30 times more quality prints for the same money! Epson Stylus Photo PX830FWD вЂ“ is a compact and functional inkjet device from world class company Epson. This is a long-awaited new product, which supports the function Epson Connect вЂ“ printing from any place of the world. Now you can even send files to the printer, being thousands miles away from your inkjet printer! Just send an image, photo or document you want to print, e-mail message from your mobile device to the unique e-mail address of your multifunctional device. The device will receive messages and prints both color photos and black and white documents. Just imagine: you were sent to a long trip, your family is having dinner at home and then suddenly your photo is "popping" out of the printer! What a pleasant surprise for the family! 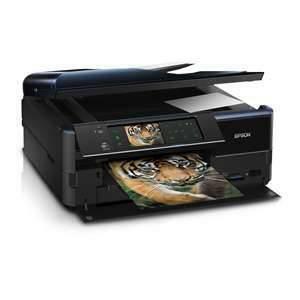 MFP Epson Photo PX830FWD вЂ“ is an excellent choice for use both at home and in small business. One of the main advantages of this model is: compact size combined with the extensive functionality, such as scanning, copying, sending information via fax, and of course printing both color and black-and-white images of different formats. Automatic Wi-Fi tuning eliminates the need to connect the printer to the computer by wires or manually define network settings. 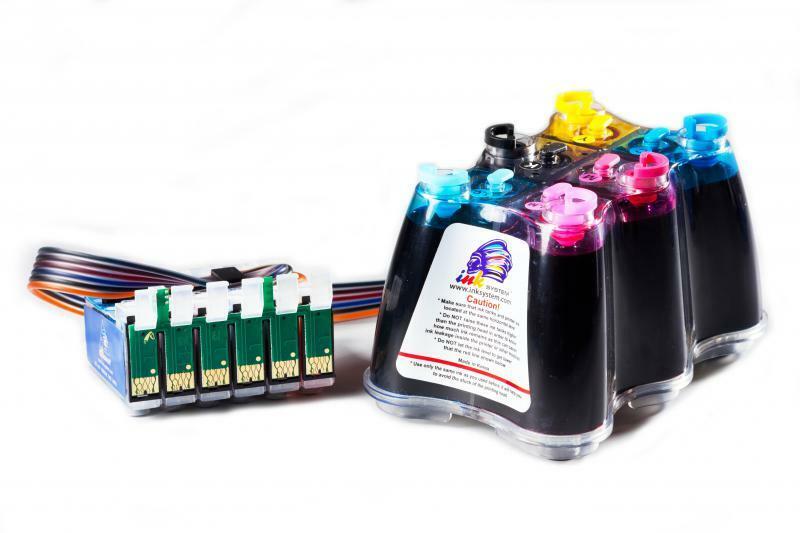 In addition, the support of wireless connections will allow to place the printer in any convenient place at home or in apartments, and not only near the computer. It is possible to purchase the inkjet multifunction device not only for printing, but also for making copies and scanning of documents and photos, both color and black and white ones. The offered model also has a built-in fax machine. This is a great opportunity to organize interaction between users. The presence of a color LCD display allows to step even further aside from the need to use PC during printing. Now you can edit the image directly on a printer of the offered model: whether it is eliminating the effect of "red eye", contrast enhancement, application of sepia effect, formatting in a card or adding beautiful signature and much more вЂ“ all this can be done directly on this multifunctional device. But that's not all! Convenient Touch Pad ensures comfortable control of the printing device Epson PX830FWD. And due to the support of piezoelectric printing technology the print head will work longer and safely, and the quality of both color photos and monochrome documents will be above all praise. We also encourage you to take a look at the similar models of the same series, which have the same functionality such as Epson PX730WD and Epson L100. In order to print with Epson Stylus Photo PX830FWD as cheaply as possible, install the CISS in it. With Continuous Ink Supply System you start savings from the first print. And you will save a lot of your time and money. CISS system reduces the cost of printing at least in 20-40 times. And these are the real numbers! Buy this model of a multifunction inkjet printer from Epson's and see all yourself. And you can do this right now by ordering the product on our web site. 19.8 cm smart-navigation touch-panel with screen. Excellent product. A good deal for the money. The printer seems to be a bit too slow. But I can live with it, there are more advantages anyway. And CISS really helps me saving on ink. IвЂ™ve been using it for a month already.